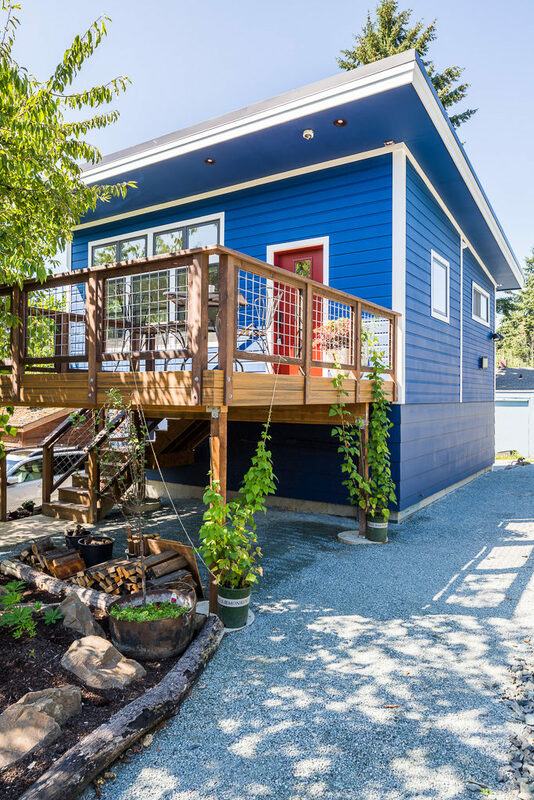 Whether you call it your tiny house, backyard cottage, DADU, ADU, ancillary unit, carriage house, mother-in-law, guest house, or any of the other names such dwellings go by, they all have one thing in common: a small footprint. 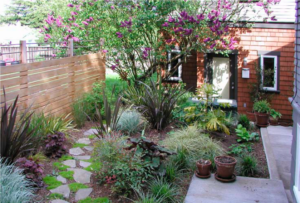 With that small footprint comes a host of features, benefits, and limitations that come together to shape the home into a livable and enjoyable residence. 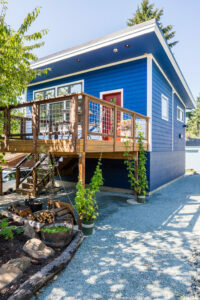 In addition to the small footprint, most tiny homes are designed to be green: eco-friendly, and energy efficient. With all these factors working together, how does one go about choosing the best heating system? Radiant ceiling panels are the best solution for many of these buildings because they have key features that work hand in hand with several aspects and design goals of accessory dwellings. A typical wall heater will require a roughly 9 square foot area around it to remain completely clear to avoid creating a fire hazard. Even ductless units, mounted high on the wall, chew up valuable space that you could otherwise use for cabinets, windows, or even your favorite piece of art. In contrast, radiant ceiling panels take up zero usable square footage in your home. If using every square foot to its maximum potential is important to you, using radiant ceiling panels will help you achieve that goal. Many people end up heating their backyard cottages with plug in space heaters. Not only is this dangerous, but it’s really expensive! With Ducoterra’s SolaRay radiant ceiling panels, you can efficiently heat your tiny home for about 30-50% less than you’d otherwise spend on heating with wall heaters or portable electric space heaters. And if you’re considering renting out your backyard tiny home on AirBnB, you don’t want to have to pay the price of expensive heating. Your backyard cottage is a small and cozy space – but the noise generated by mechanical fans is unfortunately amplified in such a place. The complete silence of our radiant ceiling panels means that your quiet backyard refuge or studio stays that way. You’ll only notice the panels in operation by feel, not by hearing them turn on in the middle of the night! You may not need to keep your tiny house heated full time. In that case, being able to quickly turn on the heat and make it comfortable is an important feature. Radiant ceiling panels reach full operating temperature in just 5 minutes, bringing a feeling of immediate warmth and comfort to the space. A radiant ceiling panel is easily installed by an electrician and is certainly within the reach of most DIYers as well. If you can install a light fixture, you can install a radiant ceiling panel! No worrying about puncturing your building envelope to run piping or installing complex relays and control systems. Whether it’s a retrofit installation or new work, it doesn’t get much simpler to make sure you’re heating your house in the best possible way. Long term, there are no filters to change, no mechanical bearings nor fans to wear out and break down. NAHB estimates a 40 year life span for these heaters – and we cover 20 of those with our industry leading warranty. Heat Your Cottage the Right Way! With such a great interplay of features and project requirements, it’s no wonder that many architects and designers we talk with are now turning to radiant ceiling panels to heat the backyard cottages they design. Sheri Newbold, lead architect of the cottage pictured here on the right, calls it a “no brainer”. Are you building a tiny house in your backyard? Get in touch with us or one of our dealers and we’ll help you determine if radiant ceiling panels will be a good fit for your project! I love hearing about the different buildings our heaters are used in and will always do my best to make sure you end up with the best heating solution for your situation, whatever that may be.